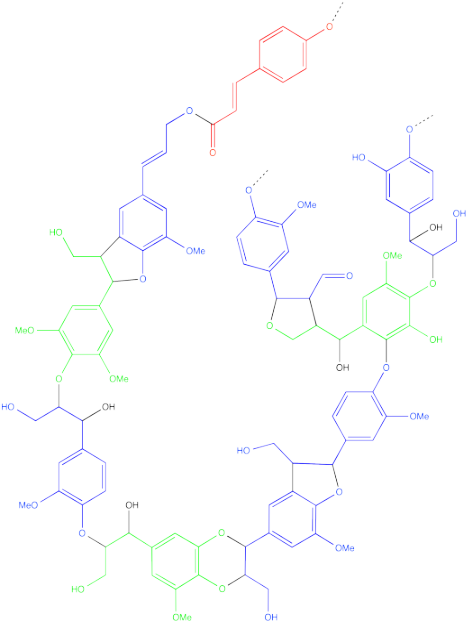 These macromolecules are also called "polymers". 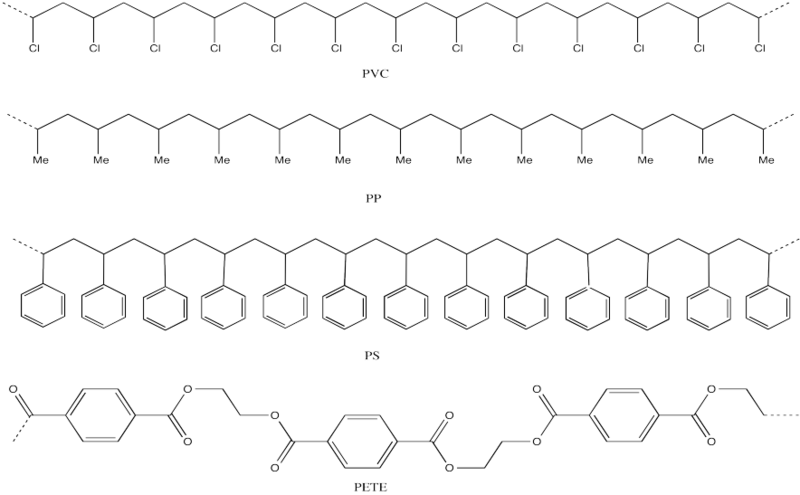 Polymers are made of many small molecules linked together. These molecules are linked or "enchained" by covalent bonds. The small molecules that come together to form polymers are called "monomers." Sometimes small numbers of monomers can come together to form medium-sized molecules; there might be two repeating units, forming a dimer, or three repeating units, forming a trimer, and so on. These mini-polymers are often called oligomers in general. In the picture, this backbone is shown in red. We can simplify the drawing by denoting all of the black, variable pendant groups as "R."
Looking at the structures of both polymers, provide a structural picture in which the repeating unit is shown in parentheses. LDPE has a slightly lower density than HDPE. Explain why.